So far in this decade, more physicians have become telemedicine providers with every passing year, with the growth rate reaching 50% annually as of 2018. The majority of these doctors have turned their attention mainly toward improving health care access in rural and geographically isolated areas and providing a high standard of care to chronically ill and senior patients. In the wake of the passing of the ACA, the Unites States has been a sharp spike in the demand for healthcare services, which has led to a corresponding surge of requests for non-clinical doctor’s visits. While it’s positive that previously underserved citizens are finally receiving much-needed care, this shift in dynamics has left less time than the already scant allowance for face-to-face visits. Telemedicine could be the key to overcoming this particular hurdle. For patients, telemedicine is convenient, simple to use, and allows them to bypass long waits in germy offices. These key features notwithstanding, there are still more telemedicine providers than there are patients signing up to use them, even when they’re built into an HMO or private physician’s services. However, considering that once patients do make the jump to telemedicine, the numbers reflect that they are thereafter highly unlikely to stop using telehealth services, it is probable that telehealth utilization will increase across the board as the modality continues to adapt to consumer needs. Telemedicine has been able to reach more patients when it is incorporated as a covered benefit as part of a health care plan. Health care plans, whether HMO or PPO, can encourage their physicians to leverage their experience and knowledge base to assist patients with accessing or navigating further care should that become necessary. While there are a certain number of both employer-sponsored and individual plans that have joined the telemedicine effort as early adopters, demonstrating that this is indeed beginning to happen, it’s still ideal if the provider in question are part of the in-network health care systems instead of long-distance virtual care providers who are unaffiliated with local health care systems. Another promising area for huge growth in telemedicine services lies in providing care for discharged patients. When a patient returns home after a surgical procedure, telemedicine can be used to monitor their status remotely, thereby reducing any avoidable readmissions. Telemedicine is an incomparably powerful tool for chronically ill patients. They comprise fifty percent of adults in the United States, but due to their illnesses, they consume a much higher percentage of the most costly medical services. Often they either cannot or do not independently use popular telehealth apps, but because they drive the cost trends for the country’s entire health care system, they have naturally become the focus of the institutions and individuals who assume the financial risk for their health care. For this reason, when telemedicine services present a payer with a multidisciplinary team of care providers to their sickest enrollees, there is an enticing potential for creating hugely impactful savings. Physicians can also monitor a patient’s compliance remotely through health coaching services, medication plans, and individualized services to those with chronic illness and other ongoing health challenges. While there are a few compelling instances of this beginning to take place, it is unlikely to become embraced by the mainstream care providers until they can be financially motivated to fully utilize telehealth (ideally through traditional reimbursement arrangements). 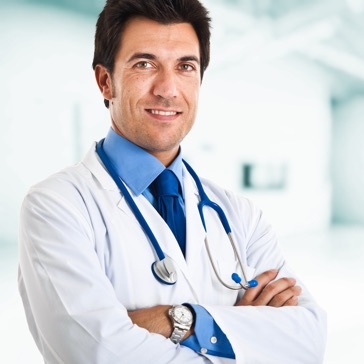 For certain aspects of behavior health care services, telemedicine can be an effective treatment modality. In fact, this is one of the areas in which telemedicine can make the greatest impact, both in terms of clinical practice and financial burden. Furthermore, untreated mental health concerns exacerbate underlying or comorbid health issues, which lead to expensive emergency room visits, as well as potential hospitalizations and lost productivity at work. Behavioral telehealth services present an opportunity for consults that have the potential to generate significant systemic savings. Patients who can connect with their providers via telemedicine can minimize or entirely avoid any stigma society attaches to in-person visits to caregivers. During cold and flu season, as well as in areas that have high numbers of unvaccinated children, doctor’s offices and urgent care clinics present patients with a high risk of coming into contact with highly contagious viruses. Additionally, each individual can then become a vector for disease transmission into the wider community. Through telemedicine, patients can connect with their physicians without coming into contact with others. While at first this benefit can seem inconsequential when compared to some of the larger systemic benefits of telemedicine, measures that reduce disease transmission do ultimately save lives, reduce the cost of health care, and reduce the burden on caregivers. Because licensing in the health care sector is highly regulated, policies governing the rules for physicians to use telemedicine are still being developed. To date, physicians delivering care via telemedicine are governed by the same regulations as their counterparts who are only seeing patients in person. The process for obtaining a physician’s license and the credentialing process is immensely complex and prohibitively expensive. Additionally, there are laws in place restricting physicians from seeing patients across state lines; physicians are not allowed to provide care to a patient outside of the state in which they are licensed. If a physician from New Jersey, for example, wanted to treat a patient in New York, they would have to obtain the license and credentials in New York to do so. Yet another regulatory obstacle physicians must overcome takes the form of the laws governing any equipment the physician might use, all of which has to be approved by the regulations of the state in question. As we all know, health records are extremely sensitive and patient confidentiality must remain of utmost importance. Many patients are concerned with potential security breaches that they believe may occur when their health information is transmitted over the internet. These concerns have proven to be significant impediments to the adoption of telehealth technologies. 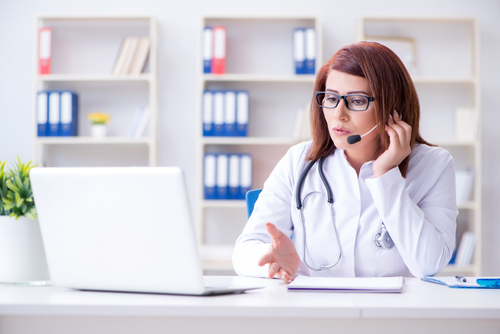 When physicians and their support staff are knowledgeable about their telemedicine systems and can offer patients brief, concrete reassurances about the security of the systems they use, patients may be more likely to adapt to telehealth technologies. Traditionally, health care has been a touch-based environment, so clinical protocols have focused on face-to-face interactions occurring between a physician and patient. In order for a physician to effectively administer care, protocols are based on established routines. Initially, if not indefinitely, telemedicine can disrupt these routines. Both physicians and their patients are forced to adapt to new rules in a novel environment. Unfortunately, humans are often resistant to change. As one might expect, then, care providers have proved to be reluctant to change their routines and individual habits, which impedes the rates of telemedicine adoption. It’s unknown whether or not younger physicians will be comparatively more eager to incorporate more telemedicine services into their distribution of their patient load, but because they are used to adapting to new technologies frequently, it does seem likely. There have been several studies that have demonstrated that a key factor affecting the slow rate of telemedicine adoption is the lack of consistent standards governing the reimbursement mechanism thereof. Administrators and physicians alike are understandably adverse to adopting telemedicine because there are no clear guidelines covering reimbursement. There are non-standard policies among payers, confusing reimbursement procedures. In the future, research should center on establishing effective ways of reimbursing telemedicine services equally, founded on evidence of financial savings and an increase in the quality of care. In order to capture the segment of the health care market that it rightfully should, telemedicine must become a recognized, valued segment in the chain of the continuum of care, strongly connected to each link in the chain of health care. Only then will we realize the full long-term return on the initial investment such infrastructures will require. However, the cost for acquiring an existing patient is $0, which is not incidental in the context of telehealth implementation. In the health care system, as in any other organization, it’s vitally important that all information technology systems interact with each other seamlessly. In another level of complexity, however, the health care system also contains multiple organizations (among them hospitals, physicians, and insurance companies) that are all involved in delivering care, and each of these has their own IT systems that store patient information separately. When they begin to interact to provide patient care, secure communication between them is crucial. This secure interaction is absolutely imperative for the widespread adoption of telemedicine technology. Because there are no standards currently governing these interoperability standards, adoption of telehealth technologies have been hindered. Secure, prompt, and accurate exchange of data is paramount to the success of telemedicine as a care delivery modality. In order to be effective, new information technology systems should be fully compatible with the IT systems and processes already in place. In the complex healthcare ecosystem in which multiple care providers and specialists are required to work together to treat patients, full compatibility of telehealth technologies with systems already in place becomes even more imperative. In rural areas across the United States, access to medical care is extremely limited. Chronically ill patients are likewise often best served by telehealth services. Telemedicine presents an excellent modality for physicians to provide care to these underserved communities affordably. However, the widespread adoption of telemedicine must first overcome challenges on many fronts.